BARCELONA, Spain – Wagons are part of Volvo’s DNA and this style of vehicle is still very much a factor in European markets, as well as certain select markets around the globe. 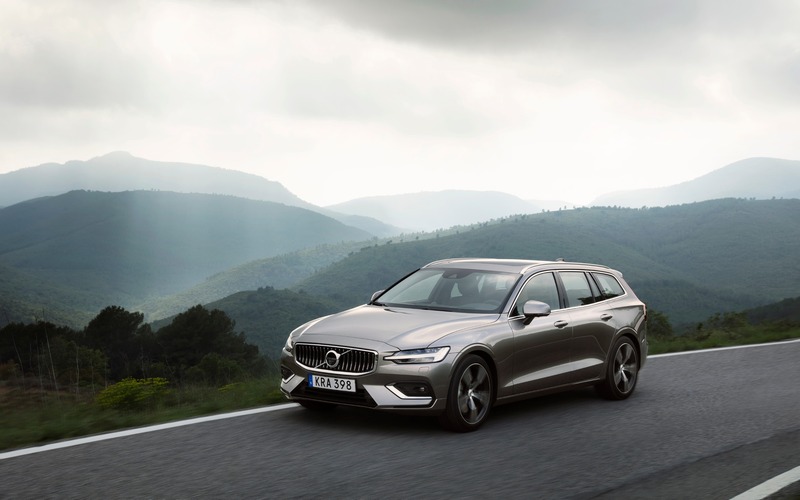 That’s why the introduction of a new V60 is of paramount importance to the Swedish automaker, and it also explains why the new wagon goes on sale before the S60 sedan. Built on Volvo’s new Scalable Product Architecture (SPA), the new V60 is very much a looker with sleeker and sportier styling that still manages to retain the character of the Volvo brand. It looks really good. Better in the metal than in photos. Compared to its predecessor, the new V60 sits 57 millimetres lower, is 126 millimetres longer and rides on a wheelbase that has increased by 96 millimetres. That’s the V60 by the numbers, but they don’t tell the complete story. The overall look of the car is an artful blend of sportiness and elegance and the proportions are just right. Also: 2017 Volvo V90: Do We Really Want an SUV? Styling details that set the V60 apart from the larger V90 wagon include a slightly modified Thor’s hammer headlight that actually intrudes slightly towards the grille, as opposed to the round design of that signature design element on the V90. Also, the grille has an angled curvature design as opposed to the rounder look of the V90. The sides of the V60 feature creases and curves for a slimmer look and the back of the car is more upright for added cargo volume and practicality. Sleeker, sportier and slightly edgier, the V60 looks just right. The design of the V60’s cabin is very similar to that of the XC60, but is slimmer on the wagon than on the SUV. The Sensus multimedia system has been reworked to respond more quickly and the V60 features beautiful wood inlays and subtle chrome trim. The overall look and feel, as always, is very Scandinavian. The front seats are very comfortable and feature heating, cooling and massage functions on the Inscription trim. Also available as a no-cost option is the City Weave upholstery, which is a very good-looking alternative to the standard leather seats. 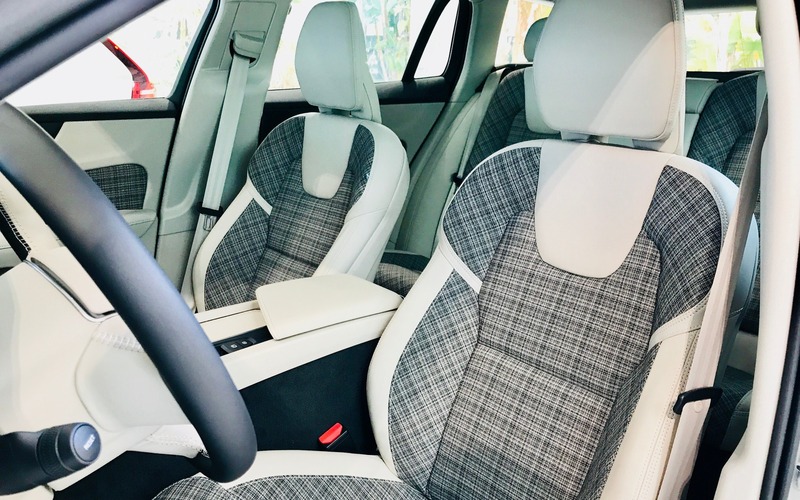 There’s definitely more rear-seat legroom than on the outgoing model but, if the front seats are positioned at their lowest point, it is difficult, if not impossible, for rear-seat passengers to place their feet under the front seats. Cargo volume is impressive, the V60 swallowing four medium size suitcases with ease, and modularity is a strong suit of this wagon. 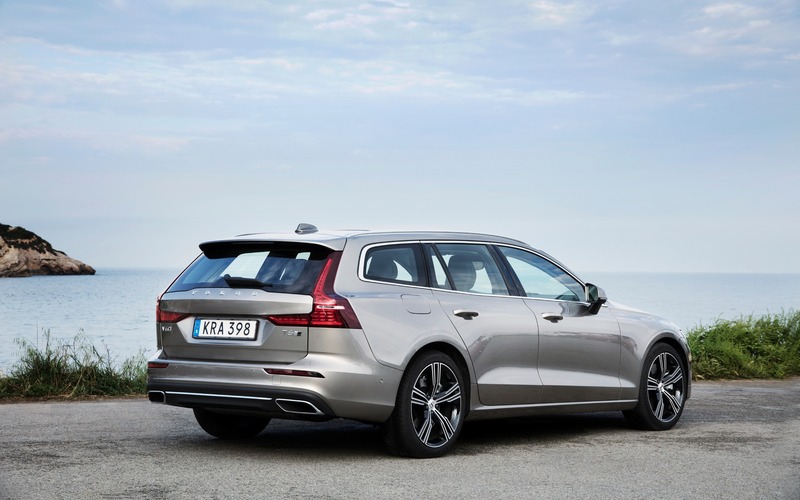 Coming to Canada are the T5 front-wheel-drive and the T6 all-wheel-drive variants of the V60. Both are powered by the same turbocharged, 2.0-litre four-cylinder engine, which develops 250 horsepower in the T5, and is both turbocharged and supercharged in the T6 for an output of 316 horsepower. Under full power, the V60 T6 is surprisingly quick and will go from 0 to 100 km/h in less than six seconds. At highway cruising speeds, the cabin remains hushed and the comfort level is up there. Throw some twisty sections of mountain roads at the V60 and the car will remain comfortable and controlled. You can hustle it around corners, but it will let you know that it’s not really made for that style of driving, and it comes up a little short of rivals from BMW and Mercedes-Benz as far as dynamics are concerned. The V60’s steering is direct, but lacks feel and the car remains stable in corners, but it does not entice you to drive fast. Smooth, quiet and stable is the order of the day here. For Canada, the V60 models will be available in the fourth quarter of 2018, a full three months ahead of the United States. Two variants will be available at launch: the front-drive T5 and the all-wheel-drive T6, both in Momentum and Inscription trims. No pricing has been set, but the price of the current V60 Momentum is $43,850, while the V60 Dynamic retails at $49,600 (the high-performance Polestar variant is $69,000), and that gives an idea of the expected price range. The R-Design variants, as well as the T8 Twin Engine plug-in hybrid, will follow at a later date, and it is also possible that a T6 Twin Engine may eventually be added to the mix. In the end, the V60 is a typical new Volvo. It’s sleek, stylish, comfortable and composed. Volvo has been on a roll lately, and the V60 will surely add momentum to the brand’s success in Canada. 8/10	The V60 performs better than the XC60 which shares the same drivetrain, owing to its lower mass. 9/10	The ride is comfortable and controlled, the cabin is hushed at highway speeds and the front seats are very comfortable. 8/10	The all-wheel-drive, 316-horsepower T6 variant is deceptively quick under full power. 7/10	The Sensus multimedia interface responds more quickly, but using the touchscreen while driving can be distracting at times. 8/10	The V60 is controlled and composed, but not as dynamic as some sportier rivals. 8/10	The V60 is a typical new Volvo. It’s sleek, stylish, comfortable and composed. BARCELONA, Spain – How many of you like the Volvo brand? I, for one, have always rooted for the Swedish company. I applauded, and continue to do so, their constant desire to stand out from the crowd with unique design and their unrelenting quest to make the safest cars ever. Test Drives 2017 Volvo V90: Do We Really Want an SUV?